This 30 in. 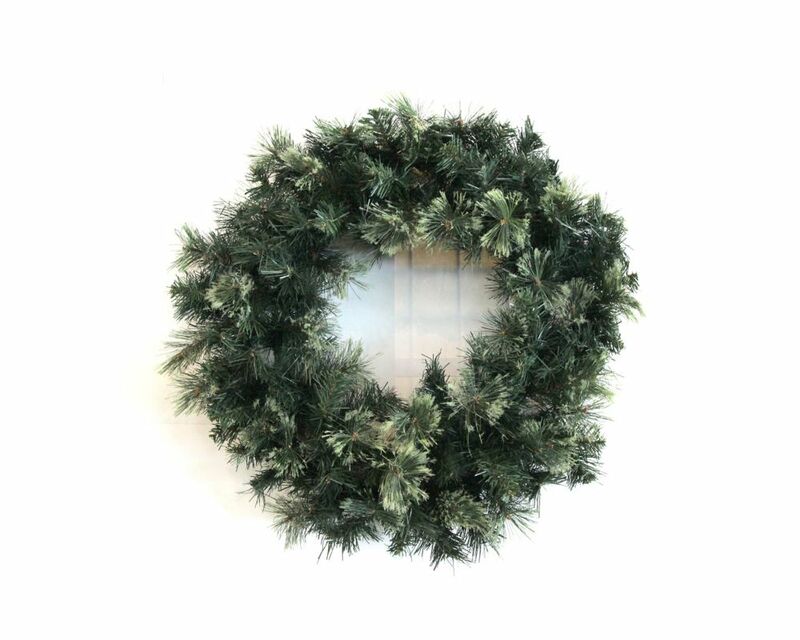 artifical Mixed Pine Wreath will be a great addition to your holiday dicor. The wreath is beautifully decorated with 50 LED Lights, gold poinsettias, pinecones and gold ornaments. Hang above your fireplace or your front entry to greet family and friends this holiday season.